Starting with pdfToolbox 9, a new property can be added to checks to define the number of hits which are needed for the respective Check. 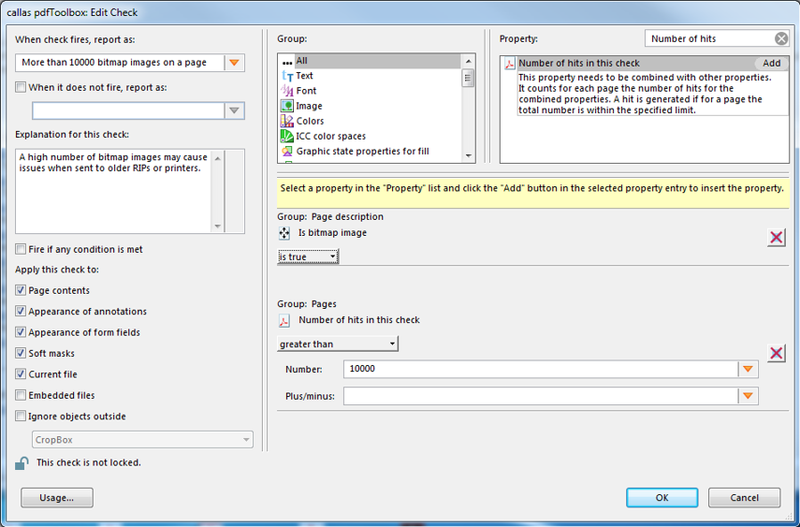 "Number of hits in this check" has to be combined with other properties and counts for each page the number of hits for the combined properties. A hit will only be generated for a page if the number of hits matches the defined settings of this property. This property works object-based and per page, so a combination with e.g. a document or PDF/X property will not give a proper result. For example, the predefined Check "More than 10000 bitmap images on a page" is configured in the way, that it will only fire, if the number of bitmap images is greater than 10000. Such Checks can easily be used in Fixups. 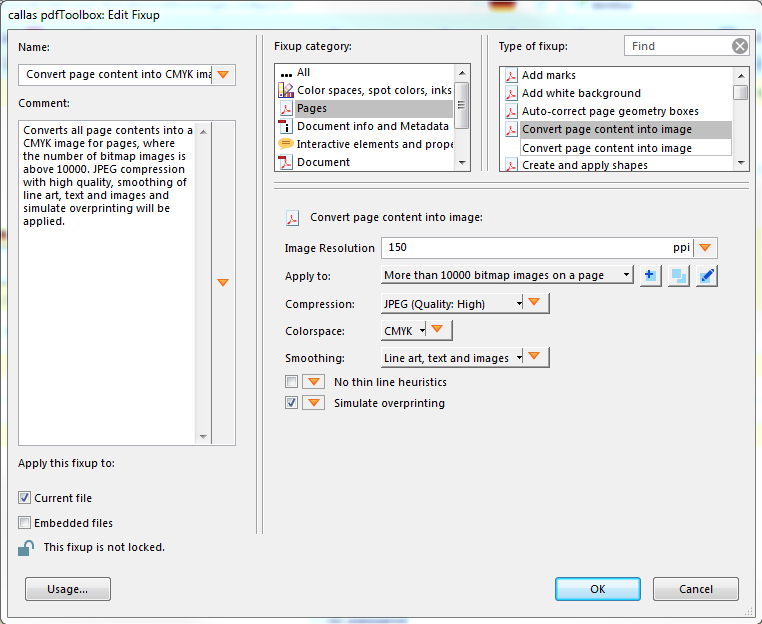 For example to convert complex pages into images to prevent problems with an older RIP or printer.